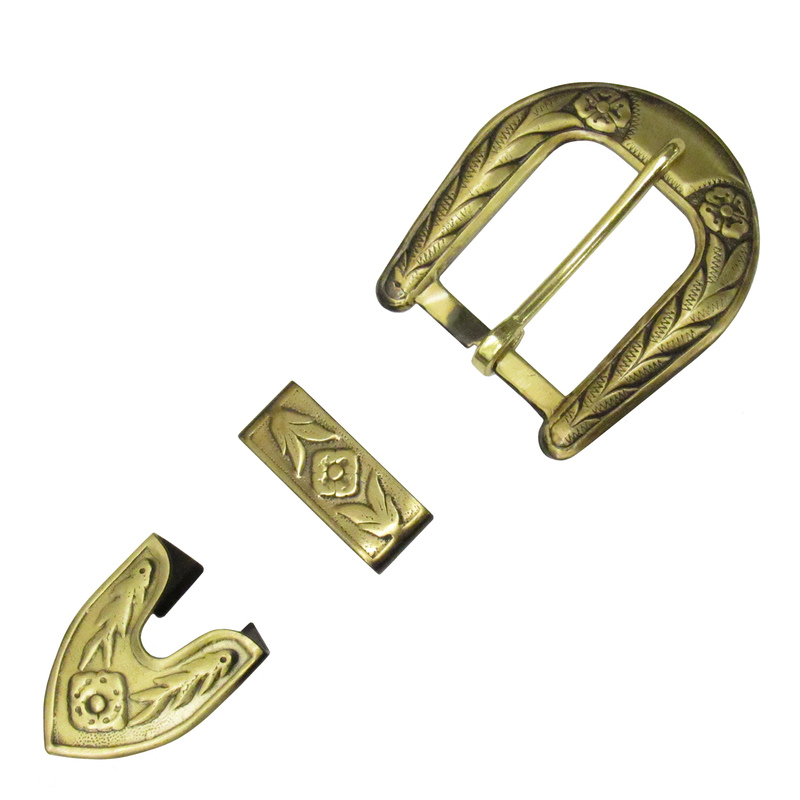 1 in Brushed Antique Buckle Set. Brushed Antique Brass Plate. Stamped Steel.